Dubbed as THE BIG ONE! 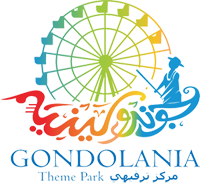 Gondolania Theme Park is the newest and the largest family entertainment destination in Doha! Housed in Villaggio Mall, it boasts of an olympic size ice skating rink, Venezian inspired Gondola Boat Ride and the highly anticipated Gondolania Entertainment City which is to be the largest theme park in Doha – from Roller Coaster to kiddie rides, this entertainment city is for all ages. Only in Gondolania is where you can find the classic Ferris Wheel, Carousel, Bumper Cars, Horror street drive Dark ride, and a state-of-the-art Go Kart Racing, 12-lane Bowling- (designed by Pininfarina- the world famous car designer), a 4D Theater, plus the latest video / simulation game and prize/ redemption machines. We also offer world class restaurants, cafe’s and a food hall with many food outlets to choose from. There are merchandise shops and kiosks around the theme park as well. Gondolania features pure excitement and various leisure and entertainment for kids and the whole family because FUN never stops at Gondolania! The Grand Opening was officially unveiled last April 7 – 9, 2011 and the 3-Day Spectacle was witnessed by thousands from all over Qatar. The 22,000 sq. metre park had a series of soft openings for a full year, as only some of the attractions were in place. The residents of Qatar have been able to use each section as it became available. Gondolania is now fully operational. All rides and games are now ready to bring joy to people of all ages. The impressive roller coaster’s unique sound and light show was unveiled, which is synchronized with the ride. A sequence of different sound and light shows will take place during the three-minute ride, creating a spectacular ambience throughout the park. This is the first time in the region a show of this calibre has ever been attempted by any theme park. Gondolania is named after the Venetian Boat (Gondola) theme of Villaggio Mall watercanal. The indoor park features a great variety of rides and attractions including a spinning roller coaster that takes riders almost to the ceiling before plunging 19-metres underground. Another major attraction is the only 4D cinema in the country offering a truly realistic cinematic experience, with seats that are operated on an air-driven servo motion and special effects that includes front air blasts, front water spray, neck and leg ticklers and vibrating seats. A Bowling Alley, Go-kart circuit, a Drop Tower, Bumper Cars, Carousel, Ferris Wheel, Kiddie Train and party rooms are also part of the entertainment available at the amusement park.